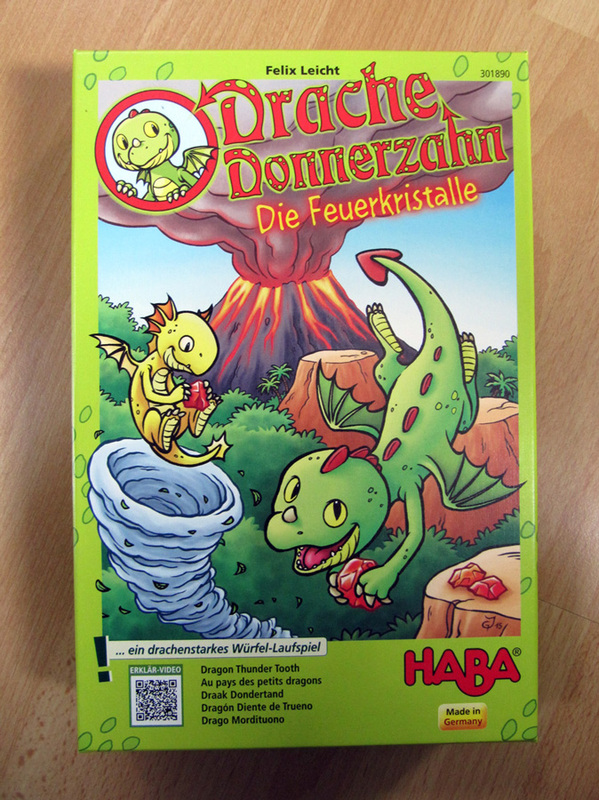 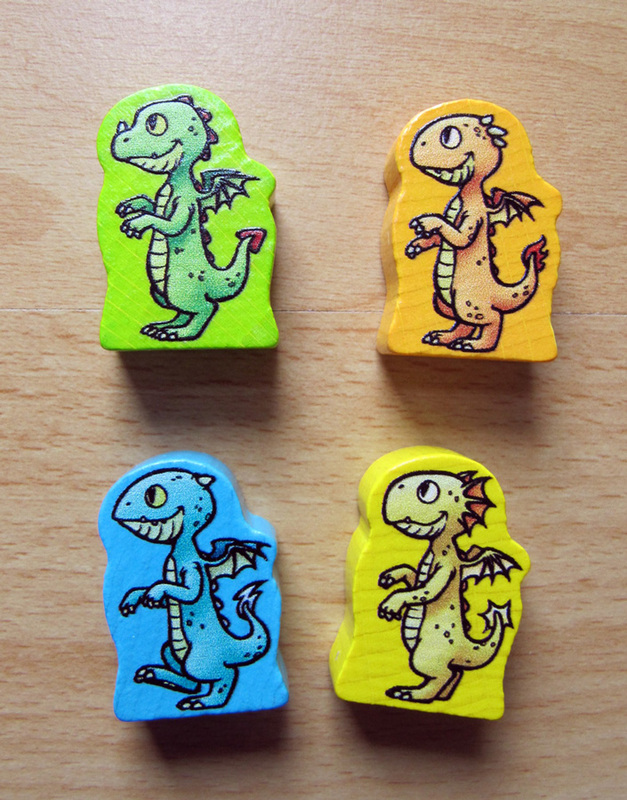 And yet another game for HABA, this one is called “Dragon Thunder Tooth” and it was a treat to work on because I LOVE dragons! 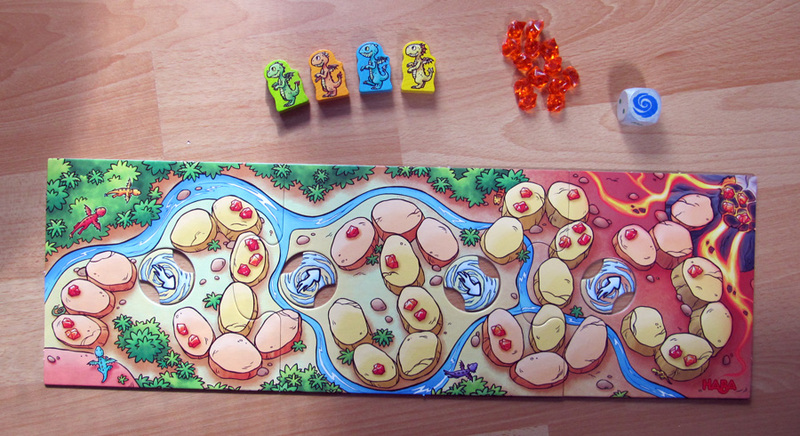 It’s a small board game for 2-4 players aged 3-99. 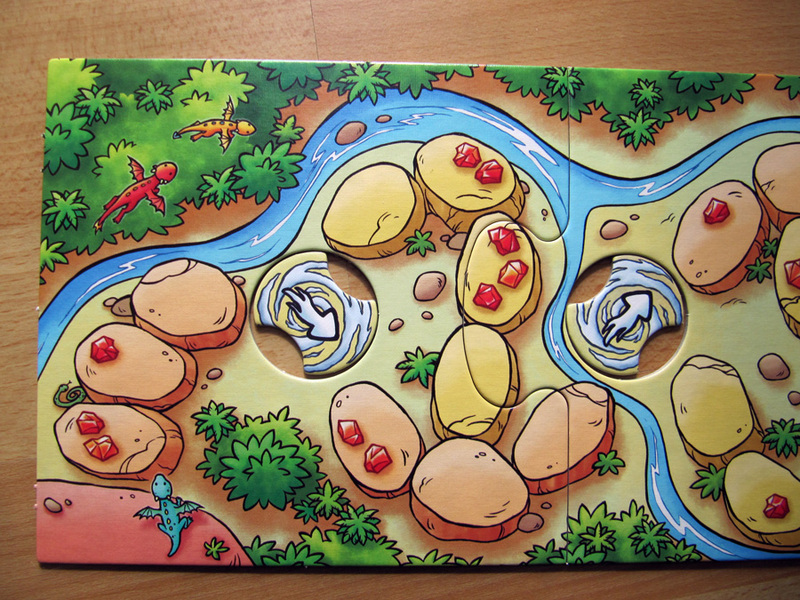 You have to get your little dragon to the volcano and collect as many gems as possible along the way, but depending on how the wind turns, the route can turn out shorter (but with less gems) or longer (yielding more gems instead). 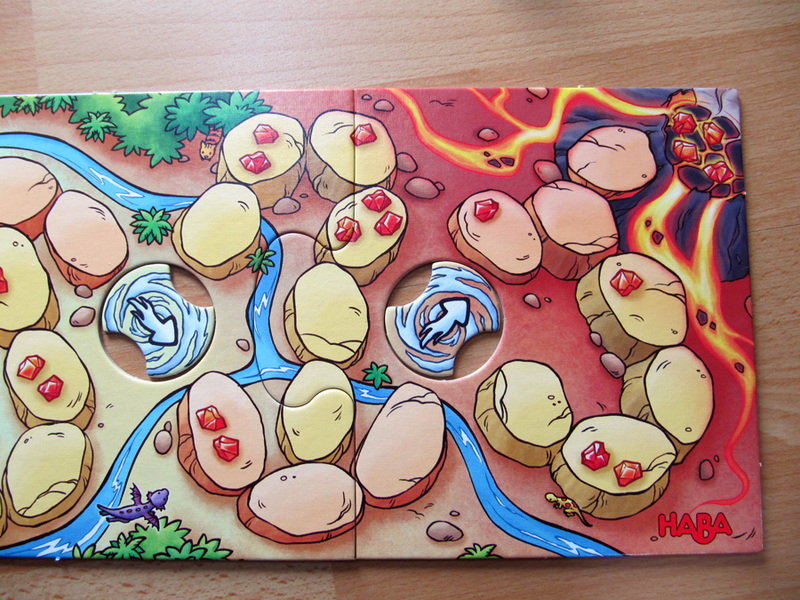 The game is over when the first person reaches the volcano, but is won by whoever has collected more gems by then. 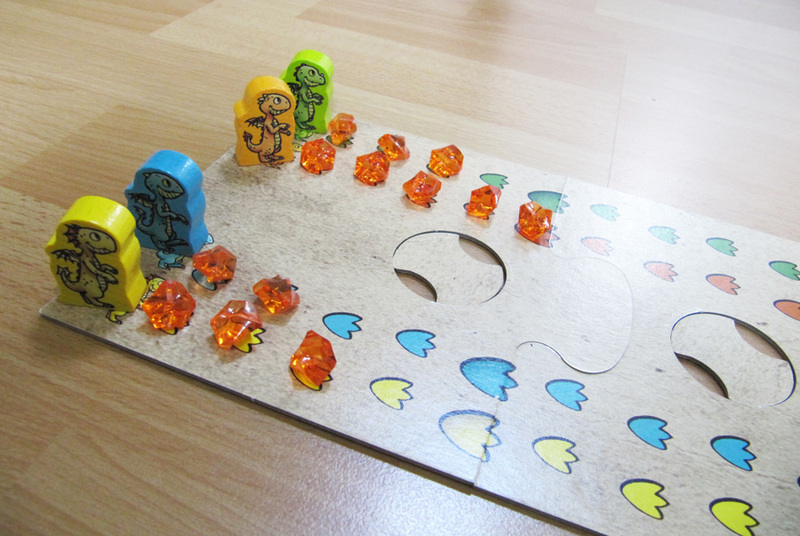 At the back of the board you can lay out your gems, so that even small children who can’t count yet can see who had more gems in the end.